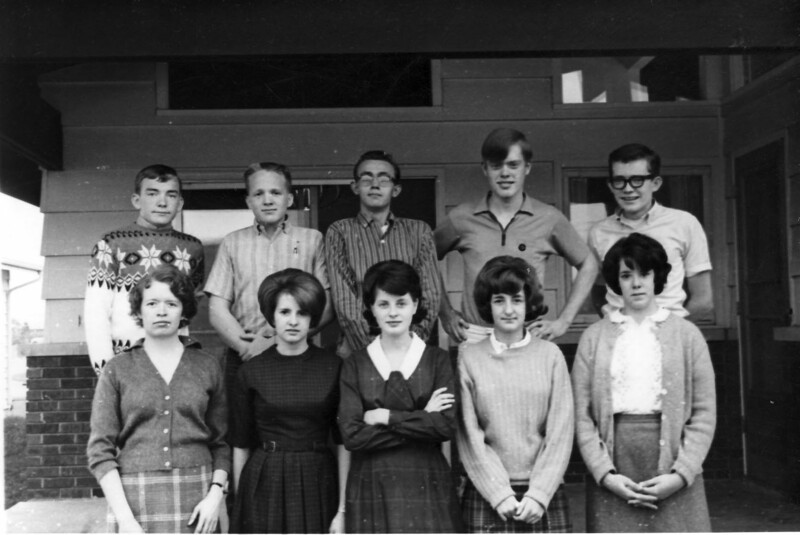 By the fall of 1963 Aurora Branch had enough high school students to establish an early-morning seminary class. Deanna Lyman Greer, who held a teaching degree, was called to be the first seminary teacher. She converted a small bedroom in her home on Elmwood Drive into a classroom, and students gathered there at 6:00 a.m. each morning. For the next school year, seminary moved to the home of Fred and Jean Smith. This photo was taken on their porch in the fall of 1964. Front: Deanna Greer (teacher), Bethine Mindar, Rose Marie Resch, Linda Hill, Julia Woolcott. Back: Erek Erekson, Ren Smith, Jerry Rod, Earl Spahr Jr., Tom Erekson. Recalling seminary, Deanna Greer said, “I really enjoyed teaching seminary. The first year it was Old Testament and I learned so much. I was impressed at how faithful the kids were. The second year course of study was the New Testament. Deanna continued to teach until March of 1965 when she was released due to complications of pregnancy. Bob Erekson, recently released as branch president, was called to finish out the year as seminary teacher. 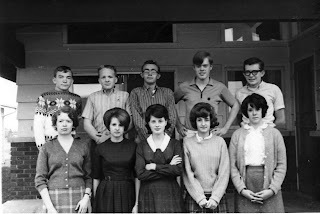 Seminary was established in September 1963 because the Chicago South Stake was moving forward on a stake level to set up seminary classes in all wards and branches. Deanna Greer worked under a stake CES (Church Education System) director, with Bob Erekson as branch president.